Spanish Levels 1-2 (60, 30-min. daily lessons + Reading Lessons) Mobile app with interactive learning and review tools teaches speaking, understanding, and reading. Modified version available for desktop. 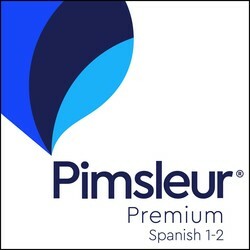 This Spanish program includes all of Pimsleur’s Spanish Levels 1 & 2. 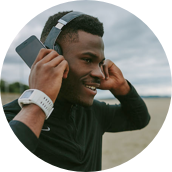 With this program you start from zero, first learning survival phrases and vocabulary, and eventually progressing to an intermediate level of speaking, understanding, and reading Spanish.